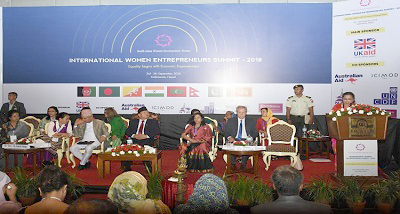 A three-day International Women Entrepreneurs Summit-2018 concluded here on Wednesday. Vice President Nanda Bahadur Pun inaugurated the summit organised by the South Asia Women Development Forum (SAWDF) with the theme, “Equality Begins with Economic Empowerment” on Monday. The summit hosted with the aims to promote business opportunities and partnership within women entrepreneurs from South Asia, the European Union, African, Arab region and Republic of China was attended by more than 100 delegates, including women entrepreneurs from 27 countries. Inaugurating the event, Vice-President Nanda Bahadur Pun said no development of the country was possible without empowering women financially. Pun said the country’s Constitution and other laws have ensured women’s rights by guaranteeing their proportional participation in every mechanism of the state. 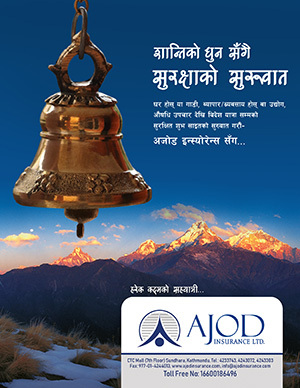 Stating that financial power and economic empowerment could reduce women’s vulnerability, Minister for Foreign Affairs Pradeep Kumar Gyawali said financial empowerment of women was important to transfer power to women in the society. He added that women in business not only contribute to alleviating poverty but also improving the overall development of society. Addressing the summit, Director General of ICIMOD David Molden said more women would be attracted toward business if the prevailing gender biasness was peeled off. Pramila Acharya Rijal, president of South Asian Women Development Forum, said that the summit was organised to establish multiple collaboration and partnership with a consortium of international and national organisations.